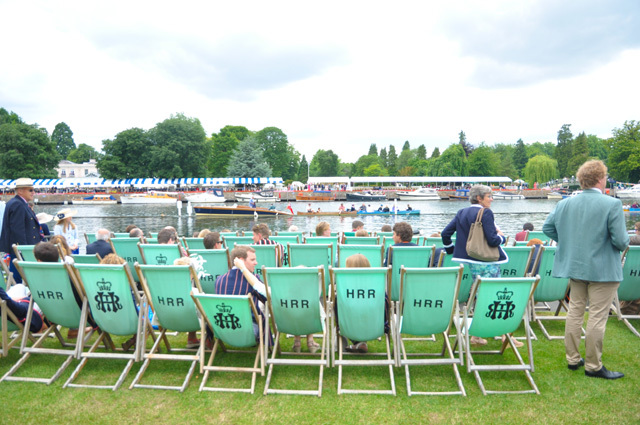 Let's talk Henley Royal Regatta, shall we? 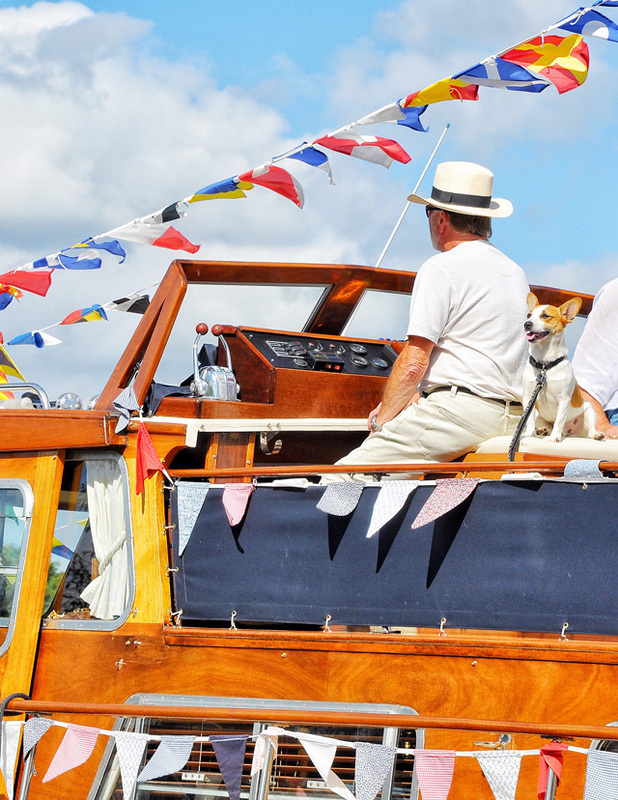 The finals were today, and that means this year's big boating extravaganza has come to a close. But, as the events are fresh in our minds I wanted to outline why exactly this should be an event on your social calendar for 2018. For starters, 2017 saw a bit of a change for the races in a corporate direction. 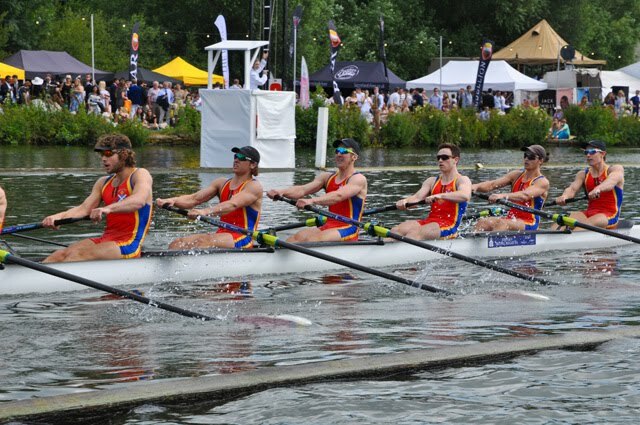 Henley Royal Regatta, for the first time in its 178 year old history, worked with three partners for the 2017 event: Bremont Watch Company, Aston Martin and Hackett. In my opinion, there couldn't be a more iconic pairing of brands when it comes to British heritage. 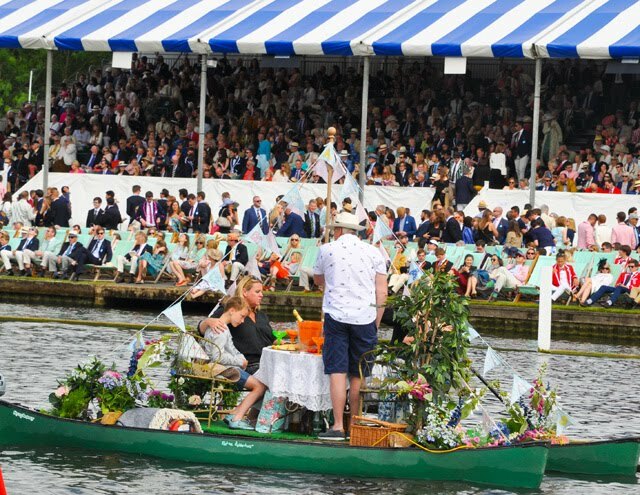 You've got your suit, watch and car all sorted from the word go, and you're supporting three incredible home grown brands to boot, while attending one of the most iconic events of the British Summer. Need I say more? 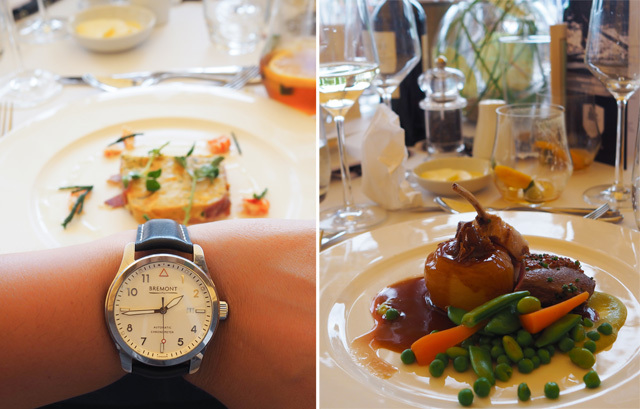 Well, I should disclose that I was a guest, at the Regatta, of Bremont watches, and proudly so. I feel like I've given you an education in Aston Martin over the years, and Hackett isn't really a topic I can speak fluently on as they're known for their men's outfitting. However, for those of you unfamiliar with Bremont, allow me to rock your timekeeping world just a touch. This is a brand I haven't spoken of before, but have purchased from in the past for gifting Mr. FFG. Before we dive into my photo essay on Henley, let's touch on a few important Bremont points here first, as this is a watch brand that needs to be on your radar. Founded in 2002, by brothers Nick & Giles English, Bremont seems more like a hobby than a profession for these co-owners. 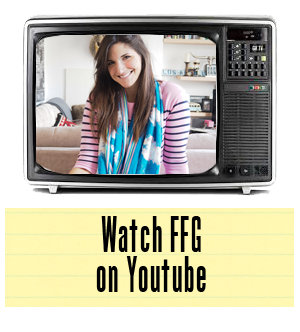 Their passion is that obvious and that contagious that you truly believe this is just something that's done for fun. It's anything but. In the 15 years since its founding, Bremont has come to be one of the most respected watch brands not only in the UK but across the globe. 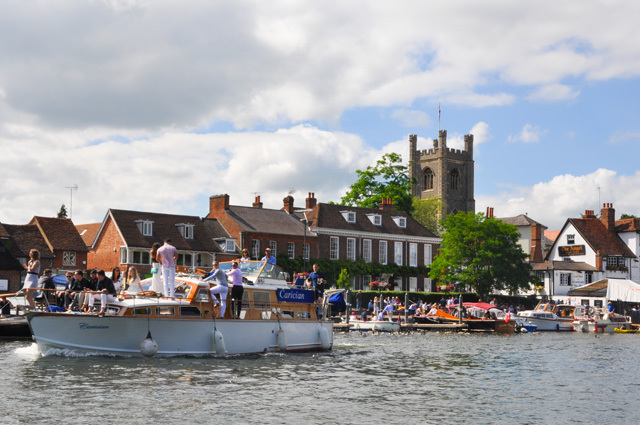 Not only are Bremont the official timekeeper this year of the Henley Royal Regatta, they also make parts of their watches locally in Henley, about a ten minute journey from the centre of the event. Match made in heaven here, folks. I digress. 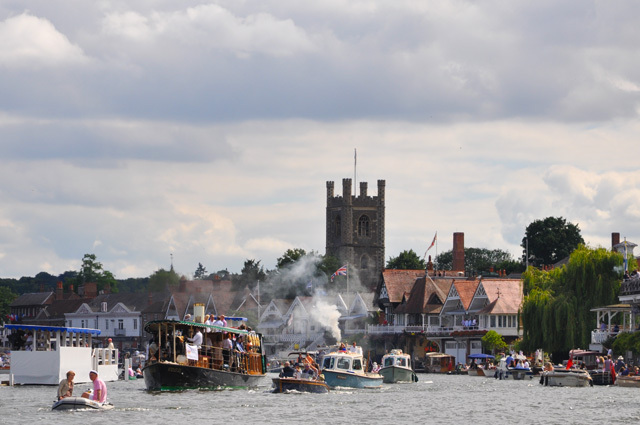 There is a lot more to say about Bremont, and it will be said, but this is a story about Henley. So, I will leave you with this. Bremont is beloved by those in the know. 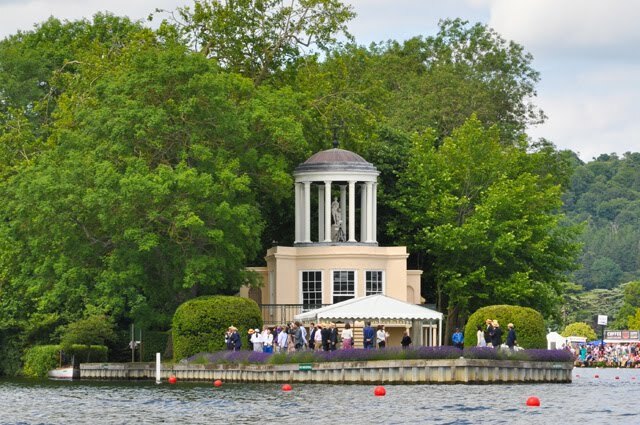 The watches are detailed to a degree that is unparalleled and I could wax lyrical about the discoveries I made while at Henley Royal Regatta, but again it's for another time. For now, consider yourself suitably introduced to be able to at least hold court should someone flash a Bremont at a dinner party. Yes, you know the brand and can speak of the fabulous things they are doing to bring back British watchmaking to the glory days. Case closed (for now). 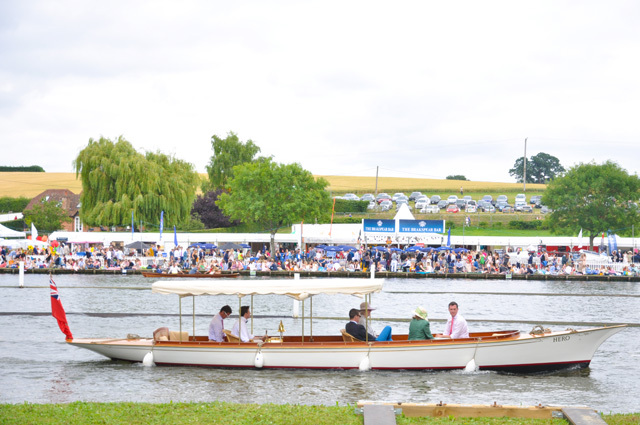 Now onto Henley Royal Regatta and what we got up to with Bremont on the day. 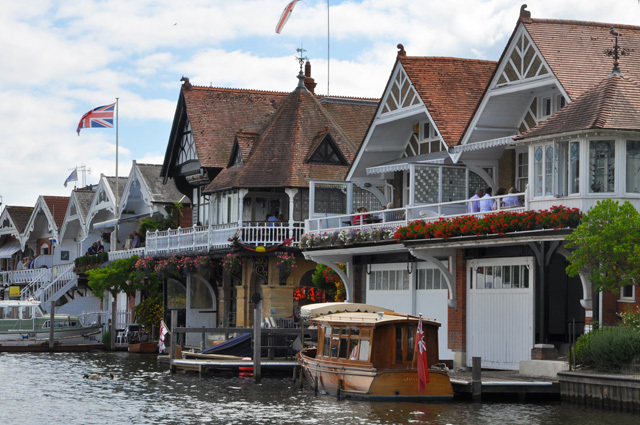 Henley is like nothing I've ever been to before in the UK. 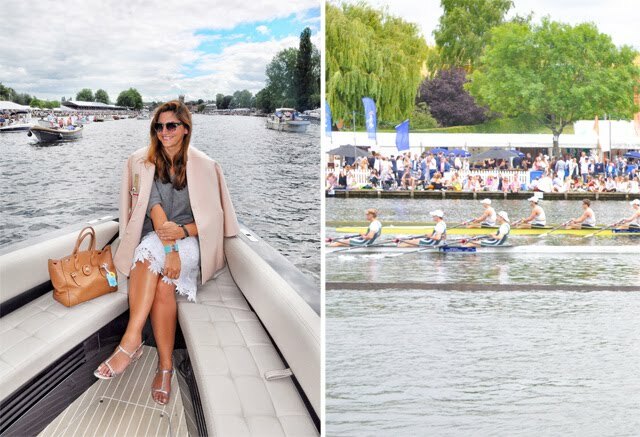 It's an event that is truly a celebration of great athletes, but also one hell of a good excuse to cruise the river, champagne glass in hand. 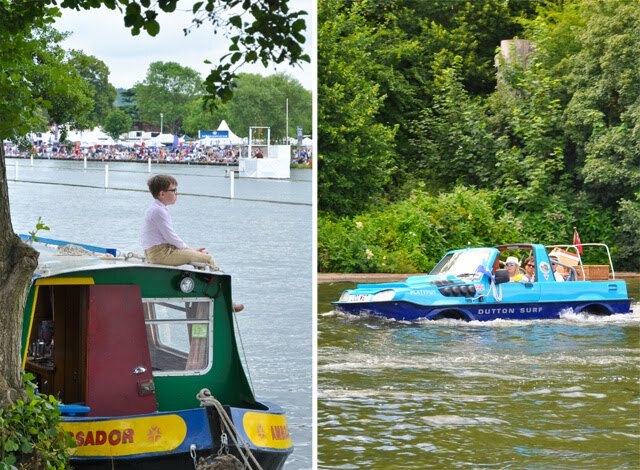 The river is divided in two during the races. 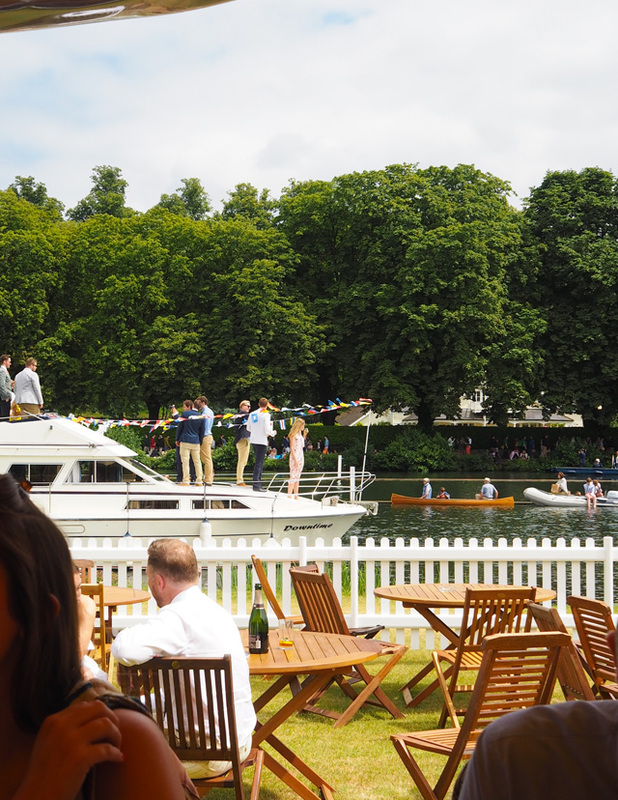 One half of the river houses the athletes as they race throughout the day to the cheers of endless spectators on the shore. 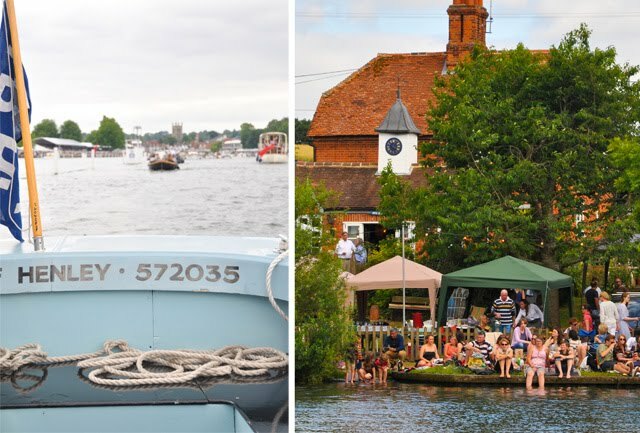 The other half of the river is home to the cruisers. We are the people not competing in an official capacity, but rather competing on a level of who can enjoy themselves more. 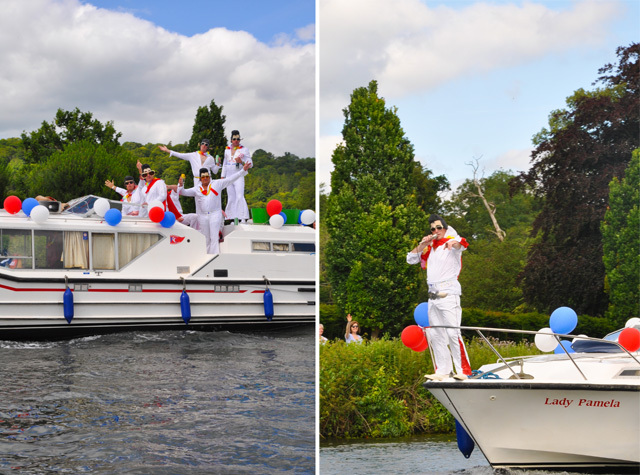 The cruisers are made up of everything from immaculately dressed women, who are riding boats decorated more elegantly than a room at The Ritz, to Elvis impersonators looking for a bit of love from the crowds on shore. You will see everything. There's even a Mahiki bar on the waterfront. There wasn't time to visit. Sorry I can't report more on that for you. Mahiki wasn't our destination for the day. In fact, I don't even think I clocked it until our last run down the river. 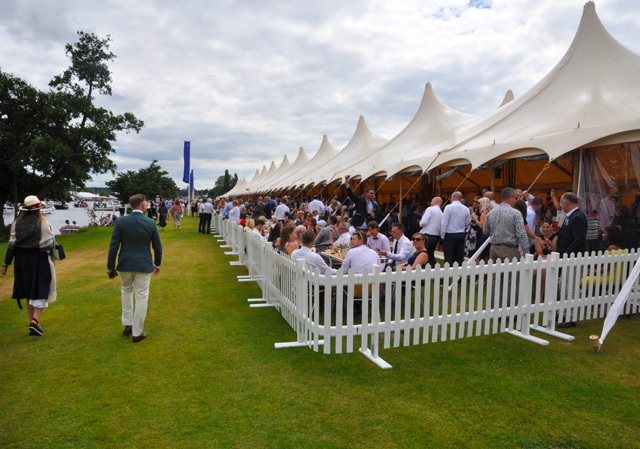 Instead we sipped Pimms in a great white tent with a spectacular view of the events at hand (much more my speed). 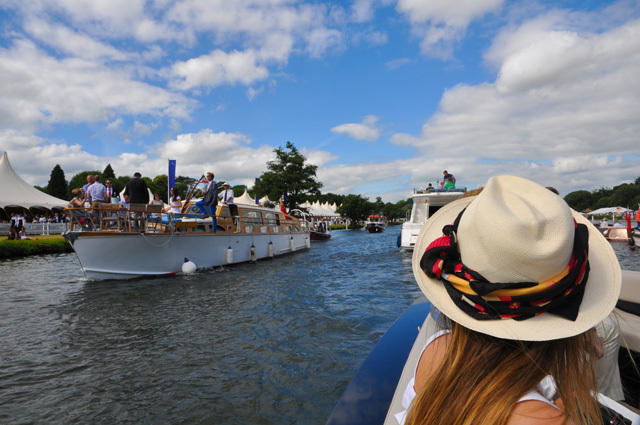 We fine dined with a similar view and fabulous company and eventually laid down our cutlery to hop on a boat and enjoy a different view altogether, one in which we were fully involved in the ways of the water. After lunch we boarded the amphibious boat known as The Iguana. 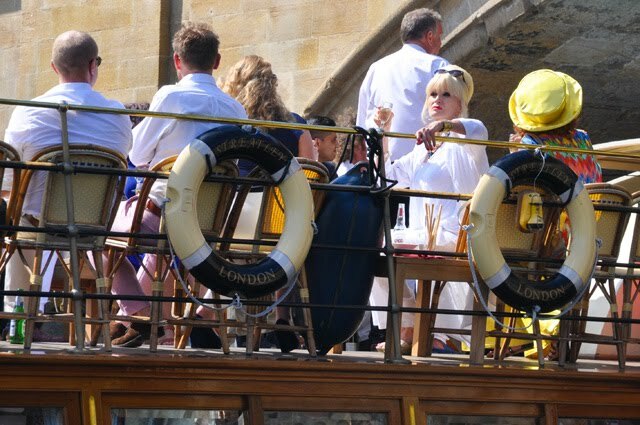 I must say, we were collecting open mouthed stares from people up and down the river. 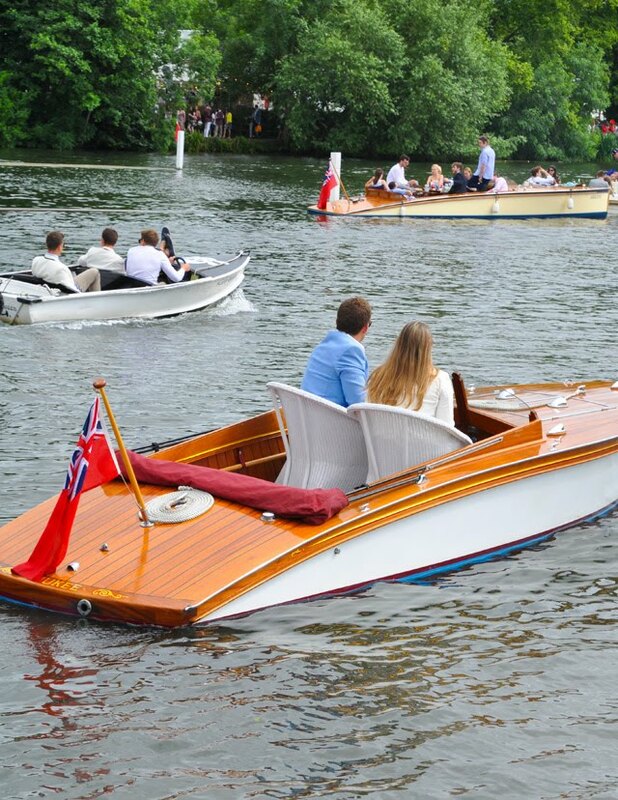 This is a boat that is very different looking indeed. 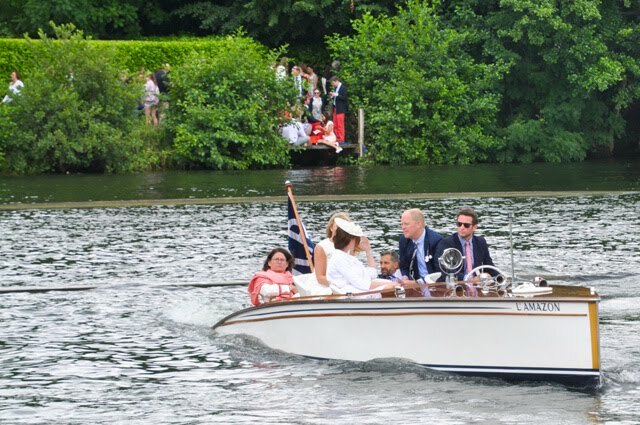 It is, in fact, a yacht that can cruise seemlessly on the river and also operate on land with a sort of tank like tread system. I'm sure I could be more technical there. Let's just say it was a show stopper and we all felt a bit like celebrities while on board. And yes, we did come up on dry land to disembark. 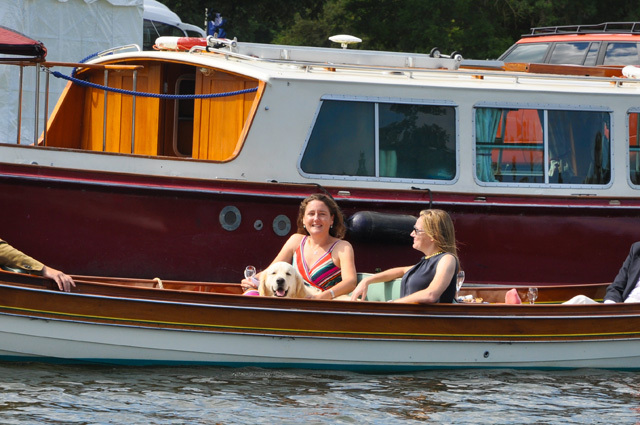 I have a feeling I may have made an appearance on a few boat enthusiasts' instagrams as a result. I may never know. There is really nothing more to say except for this. I am giving you a bit of a check list. First, find a way to get involved for 2018. 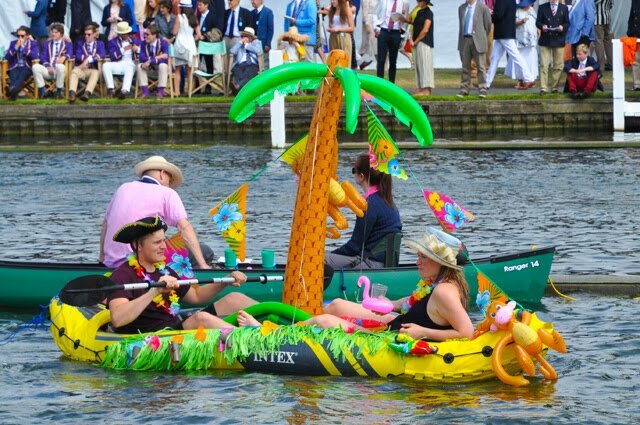 This is a British Summer event to embrace completely. Secondly, take a look in on Bremont. If you are looking for a gift for the man in your life, I can't recommend this brand highly enough. I'm still getting brownie points from the boy for thinking of this brand for his birthday last year. Result!